So there you are with your upscale gaming PC and Ultra-wide monitor. Why not go the whole nine yards and get yourself a Bluetooth gaming headset? Before you do though, please read our discussion below. Freedom of movement: Since you are not tethered to the PC with a wire, you can easily reposition and even get up and walk around while gaming. More expensive due to the battery and wire-free circuitry. What the heck is Bluetooth? 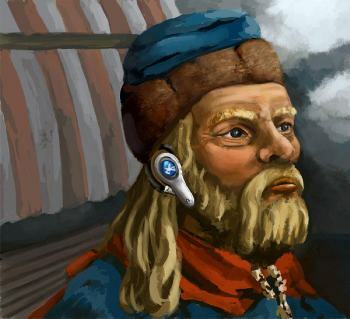 Harald Bluetooth, 10th century A.D.
* Jim Kardach was an Intel engineer working on wireless technologies in the 1990s. Several other companies were working on this new project, and they were fragmented. Kardach worked to unite these companies and define a standardized common technology. 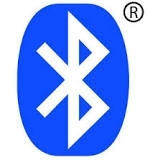 The Bluetooth symbol is actually a graphic containing the initials of Harald Bluetooth, written in Scandinavian runes. So he named it "Bluetooth". This came from the second King of Denmark, King Harald Bluetooth; who was famous for uniting Denmark and bringing Christianity to the Danes. Kardach later stated that he felt the name was appropriate, "Just as we intended to unite the PC and cellular industries with a short-range wireless link." Charging/play time per charge: 10 hours or longer is good. Latency (lag)- Although a wireless headset may be just a tiny bit slower, it is not noticeable. Lag is really not a problem, except with cheap wireless sets. Sound quality- Is usually a bit lower; but not really noticeable unless you get real cheapies. 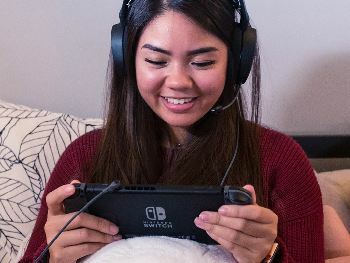 Caveat: If you don't have at least $80 to spend on a Bluetooth Gaming Headset, skip it and get a wired headset instead. There's tons of those on the market, and most will deliver decent sound. Wireless is harder to deliver. 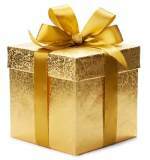 Amazon affiliate links provided below for a seamless buying experience.